This is the 4th post in a series on Bilingualism trends and context in Canada. 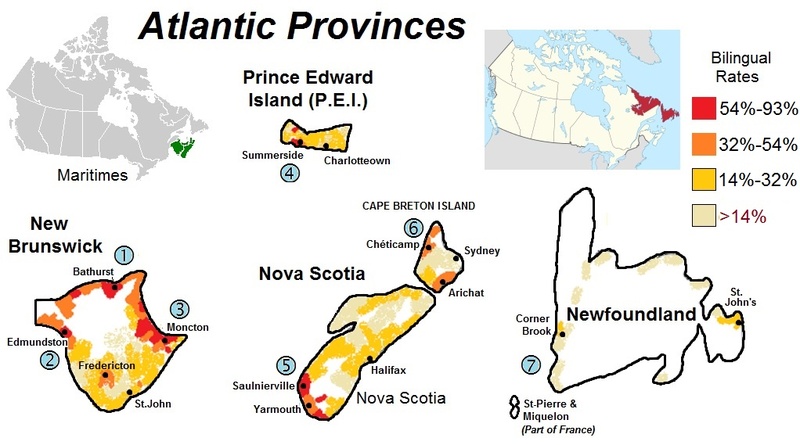 The Maritime provinces (NB, PEI and NS) are home to Acadia – one of the strongest Francophone societies in Canada, as well as one of the oldest bastions of French in North America. France’s Port-Royal, in today’s Nova Scotia, was founded in 1605, three years before the founding of Québec City – and the area has been continuously populated ever since (previous attempts of permanently populating any other areas with European settlers all failed). It is in Port-Royal that Acadia finds its roots, and in many ways, Port-Royal and the buildings below is where the notion of new-world Canada began… for all of us (photo below). As such, Acadia’s influence on bilingualism cannot be underemphasized (both through large numbers of bilingual Francophones being bilingual, as well as large numbers of Anglophones who have chosen to become bilingual). 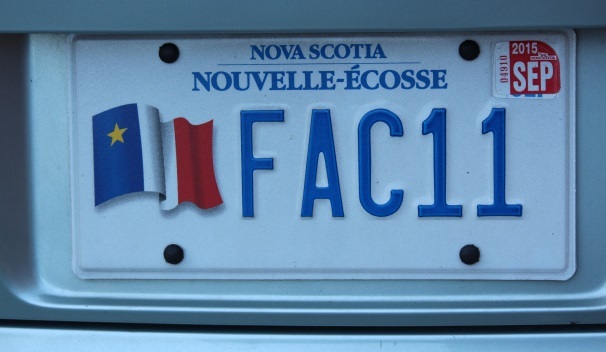 In Nova Scotia, bilingualism rates are highest in predominantly Francophone Acadian regions. This would include the Saulnierville region, south of Port-Royal (32% – 54% bilingualism), as well as Francophone regions of Cape Breton, such as Chéticamp and Arichat. Cape Breton has strong Acadian history – with Louisbourg being at the core of its history. In absolute numbers (rather than proportional numbers), the largest numbers of bilingual Nova Scotians would likely be found in the greater Halifax area, Atlantic Canada’s largest city, and Canada’s largest Atlantic Ocean port. In 1971, Nova Scotia had a bilingual population of 53,000 (6.7%) (Fr/Eng). In 2001, Nova Scotia had a bilingual population of 90,300 (10.1%). In 2011, Nova Scotia had a bilingual population of 93,400 (10.3%). Although Acadia’s original roots stem from present day Nova Scotia, it’s in New Brunswick where Acadian culture’s magnetic centre is found. New Brunswick is almost a tale of two provinces; Francophone in the North, and Anglophone in the South. But the province constitutionally became officially bilingual over 30 years ago, and bilingualism among Anglophones has been on the increase – helping to narrow the tale of two provinces. Fredericton, the capital – historically a unilingual Anglophone city – now has a vibrant bilingual community. Anglophones have comprehensive access to education in French, both at elementary and secondary levels, as well as at University (Université de Moncton is a Francophone university which Anglophones also attend). With over a third of the province being Francophone, bilingualism is strongest in Francophone cities such as Edmundston, Bathurst, and Moncton (the largest Francophone city in Atlantic Canada). In 1971, New Brunswick had a bilingual population of 136,100 (21.5%). (Fr/Eng). PEI is Canada’s smallest province, both in terms of size and population. Most bilingual people are found in the West of the island. When people think of Acadia, for some reason PEI doesn’t come to mind as readily as Nouveau-Brunswick or Nouvelle-Écosse. But PEI does have a proud Acadian history, albeit with a smaller Acadian population (around 11,000). 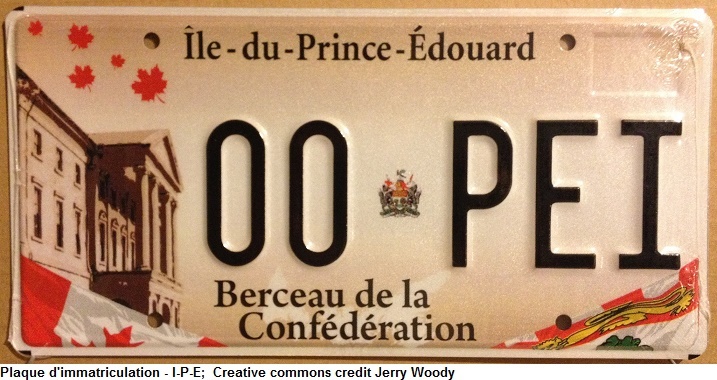 PEI used to be known as Ile-St-Jean. In 1971, PEI had a bilingual population of 9,100 (8.2%) (Fr/Eng). 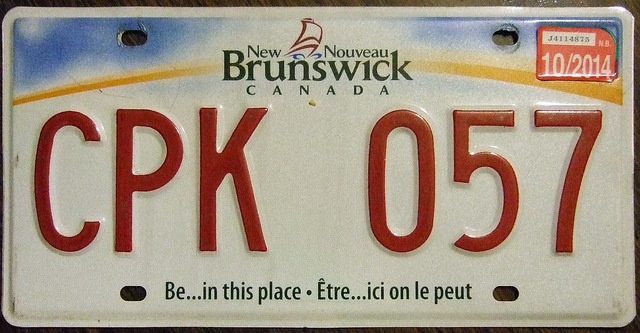 In 2001, PEI had a bilingual population of 16,000 (12.0%). In 2011, PEI had a bilingual population of 17,000 (12.3%). Newfoundland was home to a completely separate Francophone society – with separate Francophone customs, ways of speaking, and a distinct accent. French Newfoundland was founded separately, detached from Acadia, Québec, or any other Francophone region in North America. Owing to Newfoundland having been a direct British Colony until the 1940s — until it joined Canada — the former Newfoundland Francophone society slowly whittled away, mostly during a time prior to it becoming a province. However, we’re lucky that parts this unique Francophone heritage do still survive, particularly in a few small villages around the Port-au-Port peninsula (the furthest Southwest reaches of the Rock). I’ve been fortunate to have heard some of the last speakers of Newfoundland’s unique style of French – a couple of Francophones who moved to Alberta from Newfoundland for work. You can recognize the “original” Newfoundland French by it’s unique grammer, expressions, and its unique use of the conjugation “-ions” in the first and second person (rather than reserving it for only “nous”, as in standard French). Example: “J’étions cuisiner la pêche” (I was cooking up the fish we caught. ), “Tu venions par la’citte hier.” (You came here yesterday). Unfortunately, I’m not sure how much longer this special style of French will continue to last – speakers of the pure Newfoundland French must now be few in numbers. Younger Francophones are leaving the small villages for work, and the French language that remains in Newfoundland is generally standardizing in line with the likes of international and Acadian French. However, all is not lost. Newfoundland’s bilingualism rate has grown slowly. It has gone from a province in which almost no Anglophones could speak French a few decades ago, to around 5% today. Owing to the fact that its Francophone community remains very small compared to other regions of the country, the increase in bilingualism is likely a direct result of Anglophones becoming more bilingual through immersion and intensive French programs, rather than through an increase in bilingual Francophones. The highest rates of bilingualism are around the capital, St. John’s, in Corner Brook, and in the Stephenville region. 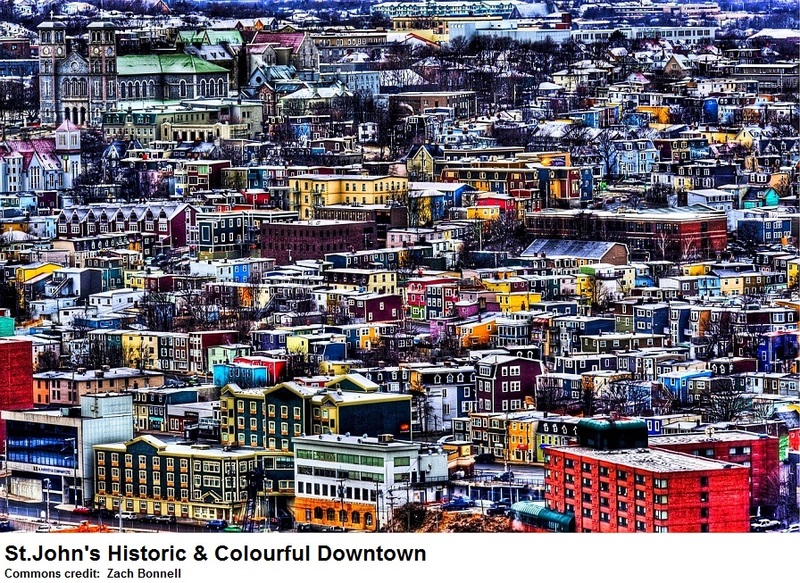 In 2011, Newfoundland had a bilingual population of 23.500 (4.6% of the population). This is the 3rd post on bilingualism trends in Canada. 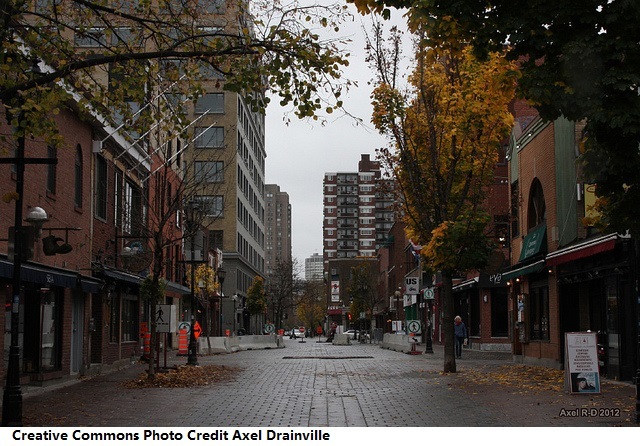 Much as Francophones who live in Anglophone Canada are generally bilingual, Anglophones who live in Québec are generally bilingual (notable exceptions are relative newcomers to Quebec and students who are temporarily in Québec to attend Anglophone universities — often concentrated in the downtown core of Montréal — around Concordia or the “McGill Ghetto”). In 1971, Québec had a bilingual population of 1,663,800. In 1981, Québec had a bilingual population of 2,065,100. In 1991, Québec had a bilingual population of 2,413,000. In 2001, Québec had a bilingual population of 2,907,700. In 2011, Québec’s bilingual population was 3,328,700. For those who are not familiar with the linguistic landscape of Québec, the map below, based on collating Stats-Can statistics according to census regions reveals some interesting demographics (click to enlarge). Region 1, Outaouis Region, is the area across the river from Ottawa. It includes the city of Gatineau. 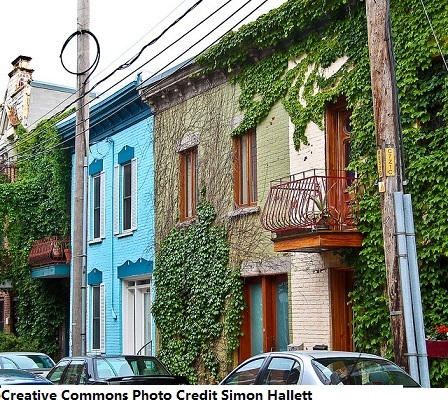 This region of Québec is intricately tied to that of Ottawa and the National Capital Region. Thousands and thousands of people cross the Ottawa River every day to work side-by-side with Anglophones in Ottawa. Many Anglophones also live in this region of Québec, and are mostly bilingual. It should not be a surprise this is one of the most bilingual regions of Québec. Region 2, L’Estrie (the Eastern Townships). This used to be one of the most Anglophone regions of Québec, but most Anglophones have moved away over the last couple of generations, and it is now strongly Francophone. That being said, the Francophones in this region have a tradition of being more bilingual, going back generations. There is also much interaction with the United States (just a few minutes’ drive down the road). It’s a heavy tourist region which sees Anglophones and Francophones consistently interacting with one another. This is an area which has one of the highest concentrations of legally designated bilingual towns and villages. Region 3, The Southern Shore of La Gaspésie region. This is a very rural region, but one of Québec’s most beautiful. It has traditionally been a mix of Anglophone and Francophone villages (New Carlisle, where René Levesque came from, had a large Anglophone population). The Anglophone singer, Kevin Parent (who sings mostly in French) also is from Gaspésie. Because of this English/French mix, it has traditionally had a higher bilingual rate than most regions in Québec. Region 4, Côte Nord (the Far North Coast). This region is dotted with many Anglophone villages. Much of this area is not connected by road, which has allowed this rural region to keep vibrant Anglophone communities (much more so than many other rural regions of Québec). It’s a region which sometimes has more contact with Newfoundland than the rest of Québec (earlier this year there was tongue-in-cheek talk the residents of Blanc-Sablon wanted the map to be redrawn so they could join Newfoundland). Nonetheless, most people are very bilingual, both Anglophones and Francophone, and residents do feel very attached to Québec. Region 5, the metropolitan region of Montréal. Because Montréal is Québec’s “metropolis”, and so much of Québec’s economy, politics and culture is focused squarely on Montréal, language demographics in Montréal attract the most attention out of any region in Québec (perhaps even attracting a overly disproportionate amount of attention). Unfortunately, it can sometimes receive lop-sided attention through the lenses of 1974 rather than 2014. It’s very easy for language in Montréal to become a political hot-button issue. When you think about it, there are a lot of people living in very close proximity within a one small region (essentially on an island together – both figuratively and literally) — and like in any large city, there are many people with very different views on life, different cultures, and different languages all confined together. One one hand, the vast majority of the time, It makes for some of the best harmony and openness seen amongst people in Québec and Canada. But unfortunately, because so many diverse personalities lives in such close proximity, some choose to view language as a divisive and provocative subject. Others sometimes use negative arguments to to score political points (on both sides). I’m not going to go into the language-politics of Montréal here, nor will I go much into the history of the language situation in Montréal, but I will quickly touch upon the bilingual demographics of the region. 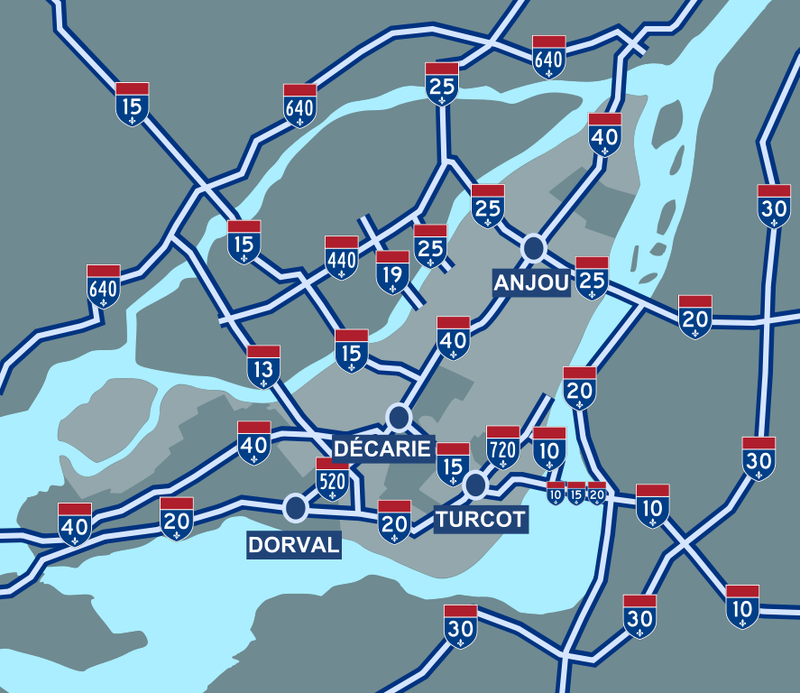 West Island / Vaudreuil-Dorion / Hudson: This is the western third of Montréal Island, as well as the land off the island directly to the West of Montréal. Traditionally, this was an Anglophone enclave, and today it still remains heavily Anglophone compared to the vast majority of regions elsewhere in Québec. Until the late 1970s / early 1980s, many of the Anglophones in these areas did not speak French and had little interaction with Francophones (the old Two Solitudes). With a re-affirmation in law of the French fact in the 1970s, most unilingual Anglophones left Québec for Ontario and other places in Canada. The Anglophones who remained were much more open minded, functionally bilingual, and often worked (and continue to work) side-by-side with Francophones. 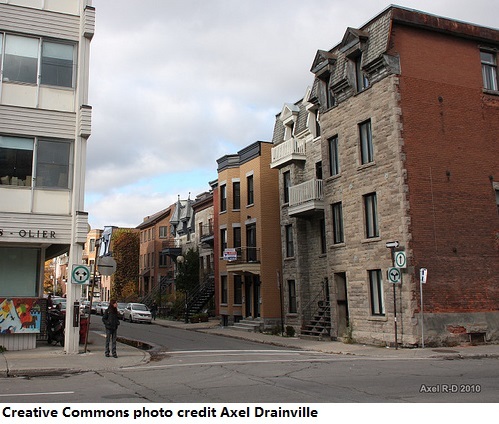 Greater downtown: This is a converging point of work for Francophones and Anglophones. National and international business is conducted downtown, and thus the pressure to be bilingual is stronger here than elsewhere in Québec. 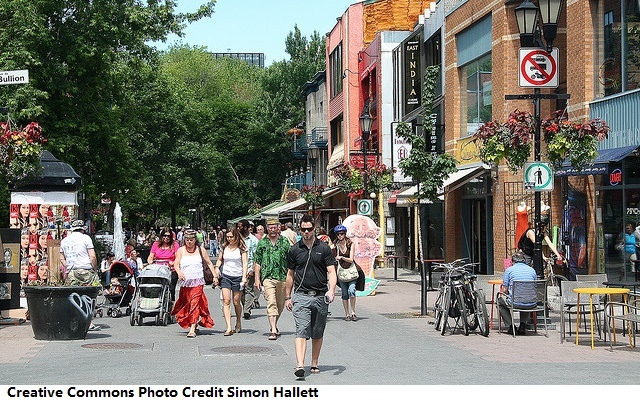 The downtown core also hosts Montréwood’s entertainment districts which attract Francophones and Anglophones alike, it hosts two major Anglophone universities (McGill and Concordia), a major Anglophone college (Dawson), a major Francophone university on its Eastern Fringe (UQAM), a major Francophone business college (HEC), Montréal’s main Francophone hospitals, Montréal’s main Anglophone hospitals, and is the main transportation hub for Montréal. 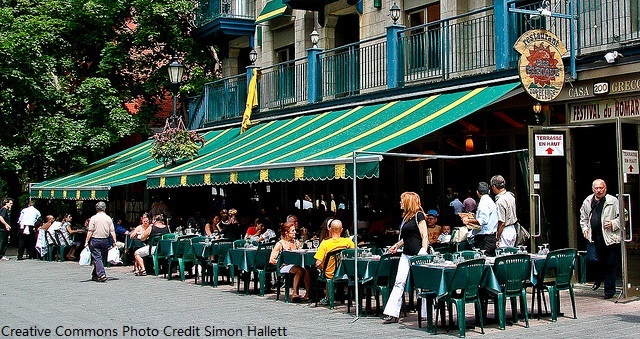 Thus Anglophones and Francophones meld together in work, play, and language – this is likely the most actively bilingual area in all of Canada. 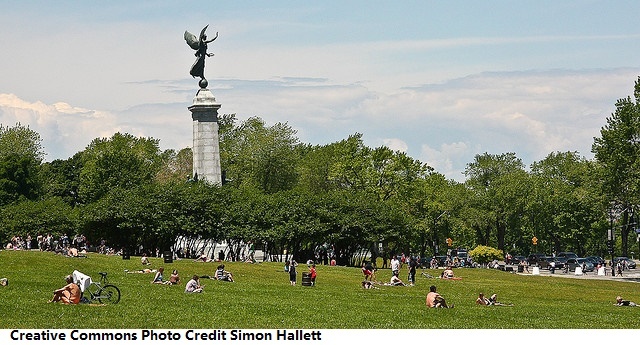 East Island – This is the most Francophone region of Montréal (East of Downtown all the way to the Eastern tip of the Island – about 20kms long by 8kms wide). Those who live here tend to be less bilingual, unless they work downtown. 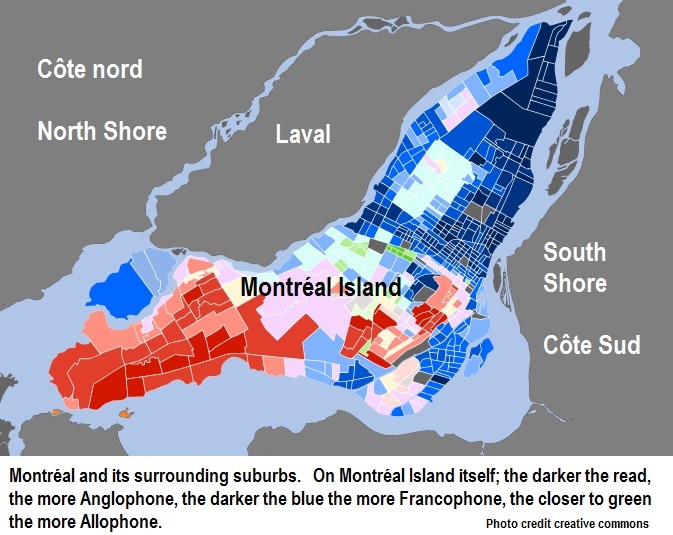 With a couple of notable exceptions (the Eastern “McGill Ghetto” and Mile End), It’s one of the most non-English, French speaking regions of the city with relatively few Anglophones, and much lower rates of bilingualism. Northern-Central part of Montréal Island (along the river separating Montréal with Laval, and a part of the Côte-des-Neiges district along the North of Mont-Royal mountain). This has some of the largest allophone and immigrant populations (non-English, non-French mother tongue populations). People here generally speak French plus a foreign language, or a trilingual combination of French, English and a foreign language. 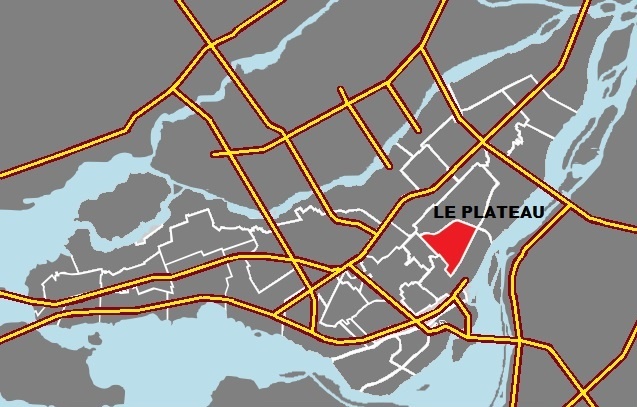 Laval Island: This is the Island directly to the North of Montréal on which sits Québec’s second largest city, Laval. Mostly Francophone, it has very large Allophone population (those which a 3rd language mother-tongue), and a notable Anglophone population. 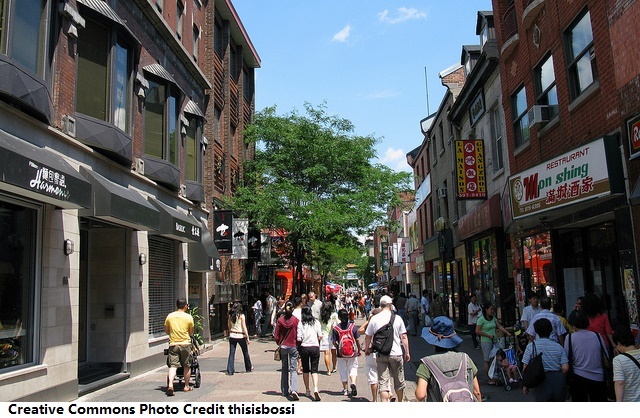 Whereas downtown Montreal can be considered an area for mixed work and play, Laval is an area for mixed living. Despite the diversity and mix, language issues which are sometimes brought to the surface in downtown Montreal are generally are not felt in Laval (personally, I think Laval is a great city… it’s a nice place to visit and to easily feel comfortable in – which is probably why it’s so popular with Francophones, Allophones and Anglophones). The Crown, or Couronne de Montréal (the North Shore and the South Shore off the islands) to the North of Laval Island, and South of Montréal Island. These are the most Francophone regions of the greater Montréal Metropolitain region, with some of the lowest levels of bilingualism. 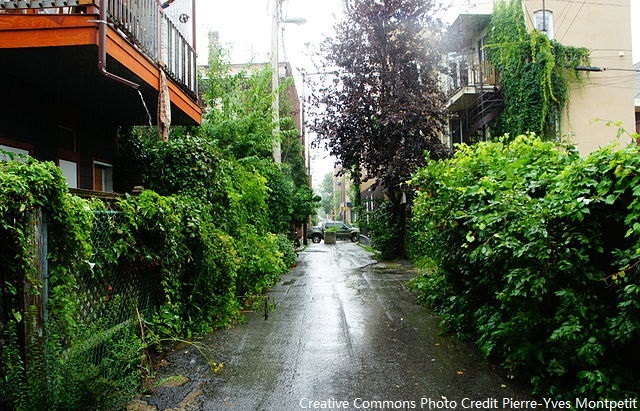 These lands were farmland just a few decades ago, but a major exodus of Francophones from the Island of Montréal, seeking a suburbian lifestyle, lead to the rapid growth of these areas. The Crown is now composed of some of the largest cities in Québec (Longueuil, Brossard, Terrebonne, Repentigny, etc). 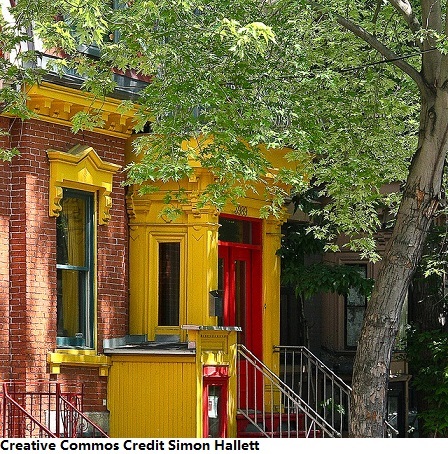 When the move-to-suburbia trends took hold 30 years ago, Anglophones chose to generally move further West on Montréal Island, and did not move into the Crown regions – thus leaving a stark linguistic contrast between the West Island and the Crown. Map showing the freeway interconnectedness between all the Islands and regions of the Metropolitan Montréal. 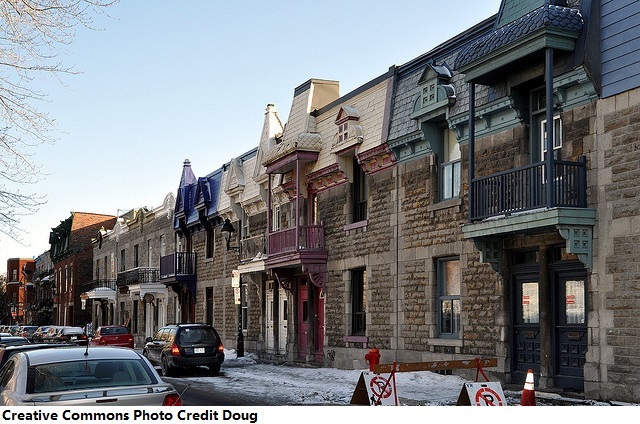 Despite the interconnectedness, language still largely remains a question of geography in and around Montréal Island itself. Elsewhere in Québec (outside the above 5 regions), bilingual rates hover anywhere from under 5% to over 20%, but rarely exceeding 30% – with the lower numbers much more in line with bilingualism in many other regions of Canada. In the last post, we looked at bilingual trends in Western Canada. Now let’s have a look at what is happening in Ontario. At a government level, Ontario is one of the provinces which has made some of the most pro-active efforts towards bilingualism. Whereas the Yukon as a territory, and New Brunswick as a province are constitutionally mandated to provide bilingual administration, the other provinces do not have the same legal requirements – although all provinces and territories provide some level of bilingual services (Manitoba’s constitutional mandate to provide French services as part of all government services is a question currently being debated – specifically the legality regarding the law Manitoba passed in 1890 which withdrew province-wide bilingual services). Ontario had no constitutional obligations to become a bilingual province. Yet, because Ontario has roughly the same number of Francophones as Québec has Anglophones, Ontario has chosen, of its own accord, to declare huge swaths of the province legally bilingual, and to offer one of the better resourced French Immersion programs and French language University access to Anglophones in all of Canada. 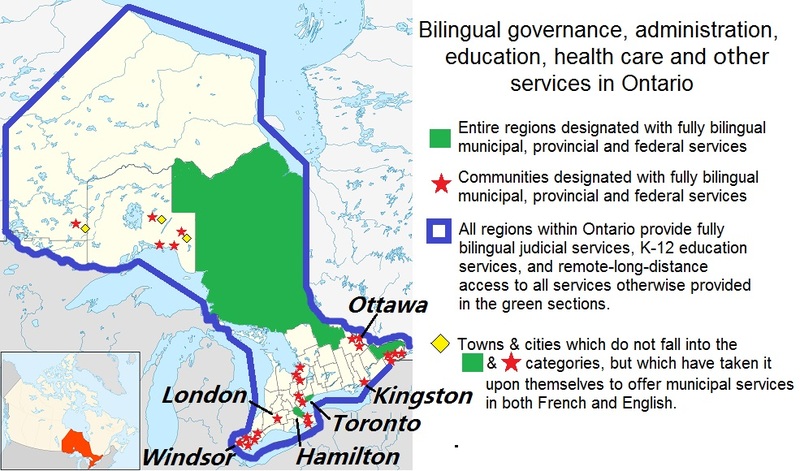 There are still some contentious issues for Francophones in Ontario (the expansion of health-care services, declaring Ottawa a legally mandated bilingual city, and the need for a Francophone university in Southern Ontario, amongst others) – but as far as “bilingual” affairs are concerned with which to build a functionally bilingual population (which is different than “Francophone” affairs), Ontario gets a good number of stars in my book for its past work. The system may not be perfect, but Ontario has laid the groundwork and infrastructure to allow for the ability to build a much better system, and achieve even greater results over the coming years and decades. The rest now comes down to continued political willpower in the face of massive amounts of international immigration (some of the highest rates in the developed world). The map below shows the current state of affairs for offering bilingual services in Ontario. There’s mixed reaction on how well this works in practice – in some regions it works extremely well and services are very good. In others regions, work is still needed despite official designation. But the infrastructure groundwork is at least in place from which to build upon. Click to enlarge. This next map shows the province as a whole, divided along regions for analysis. Click to enlarge. Northeast Ontario has the highest concentrations of Francophones (with many towns being from 80% to 90% Francophone – one of the most Francophone regions in Canada – and linguistically, it operates almost as a separate province (especially along Highway 11). It is in this region that people are the most bilingual. It is also in this region that we find the highest concentration, and amongst the most readily available bilingual services in Ontario. Click map to enlarge. The Southern portion of the province (map below) is often referred to in terms of Southern Ontario and Eastern Ontario. There is a stark demographic difference between the two regions when it comes to bilingualism. In Eastern Ontario, there are businesses and organizations which operate to a large degree in French, and which and hire bilingual Anglophones as employees. Here, we also find some of Ontario’s more readily available services in French. Ottawa and the Federal government’s bilingual “machine” is a part of the Eastern region. There is a higher rate of “Anglophone” bilingualism in this region than most other regions in Canada – in large part because (1) Canada’s federal government is based in this region, and (2) this region of Ontario has a large Francophone population dating back 400 years (historically as old as Québec’s Francophone population, but often overlooked by Francophones in Québec). The Southern Ontario portion comprises the Golden Horseshoe region, the Niagara Region (which abuts against Buffalo, New York), and Southwest Ontario (where Windsor abuts against Southern Michigan and Detroit). In absolute numbers, because Toronto’s Greater Toronto Area / Golden Horseshoe comprise over 10 million people, some of the highest “absolute” numbers of bilingual people in Canada can be found in this region. But as a proportion of such a large population base, the overall percentage is not much greater than other large cities in Canada. There is a growing movement to put pressure on the provincial government of Ontario to fund and open a fully independent French language university in Southern Ontario for Francophones and Anglophones alike (much along the same model as English minority language universities such as McGill or Concordia in Montréal). Currently, Francophones and Anglophones who wish to pursue post-secondary education in French have to attend a mixed French/English university (such as University of Ottawa, Collège Boréal, Université de Sudbury, York University, Laurentian University, or University of Guelph). In 1971, Ontario had a bilingual population of 716,100. In 1981, Ontario had a bilingual population of 924,500. In 1991, Ontario had a bilingual population of 1,136,200. In 2001, Ontario had a bilingual population of 1,319,700. In 2011, Ontario’s bilingual population was 1,395,800. Outside Québec, in absolute numbers, Ontario has the largest bilingual population in Canada. However, the last 15 years or so has seen smaller increases in bilingualism in terms of absolute numbers. Ontario has also experienced a decrease in the overall proportional bilingual population (as a percent of the overall population) in the past 15 years. But analysts say this has more to do with the massive annual overseas immigration rates into to the Toronto region, than what it has to do with a regression in bilingual promotion in Ontario as a whole (keep in mind that two million people in the Toronto area speak a language at home other than English or French, and thus the language-learning focus for these people is concentrated on English). YET, if you were to take Toronto out of the equation, the situation looks much better elsewhere in Ontario, and bilingualism is on the upswing. Most experts I’ve heard talk about the issue believe that over the coming decades, as the children of current first generation immigrants in Toronto go through the education system, the absolute and proportional bilingual numbers will begin to increase again (just as it does in the rest of Ontario and Canada). 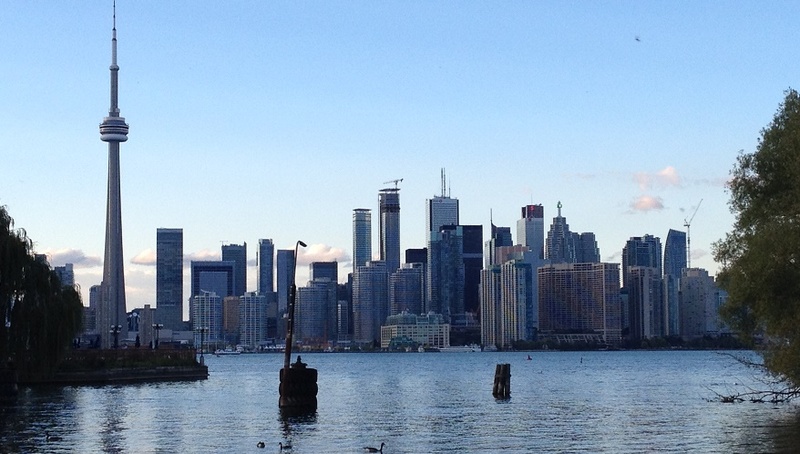 Toronto by far receives more immigrants per year than any other city in Canada. When internal migration numbers from elsewhere in Canada are combined with immigrant numbers from outside Canada (and quite possibly more than any other city in North America). The Toronto/Horseshoe area alone receives about 250,000 newcomers every year – a combination of 100,000 immigrants from overseas and over 100,000 migrants from elsewhere in Canada (perhaps upwards of 300,000 if you consider temporary students and temporary transfers). The Toronto region is now more populous than Chicago — and in terms of any city north of Mexico, Toronto is now the third largest city after New York and Los Angeles. Thus, when it comes to anything related to demographics in Ontario, what happens in Toronto greatly skews any numbers for the rest of the Ontario (and with more than 1/4 of the entire population of Canada, the Greater Toronto / Golden Horseshoe area also skews the numbers for the rest of the country too). How can it not? There’s a reason why Toronto has more international flights than any other city in the Western Hemisphere, after New York City. In the same vein, Vancouver also faces similar challenges with respect to bilingualism and also skews B.C.’s numbers (and to a lesser extent, Canada’s overall numbers), just as Calgary’s very high immigration rates also skew bilingual numbers for Alberta (Calgary last year surpassed Montréal as having the 3rd busiest airport in Canada – with direct flights as far away as Japan and soon to have a new direct flight to Beijing). The next few posts will cover some interesting statistics on bilingualism across Canada. I took an open source creative commons map (credit to Lokal.Profil 2007), and colour-mapped it using open-source bilingual population statistics from Statistics Canada’s national 2006 census. When loosely mapped based on the geography of the statistics, the results are interesting. This first post will look at British Columbia, Alberta, Saskatchewan, Manitoba, and Yukon. Despite my B.C. 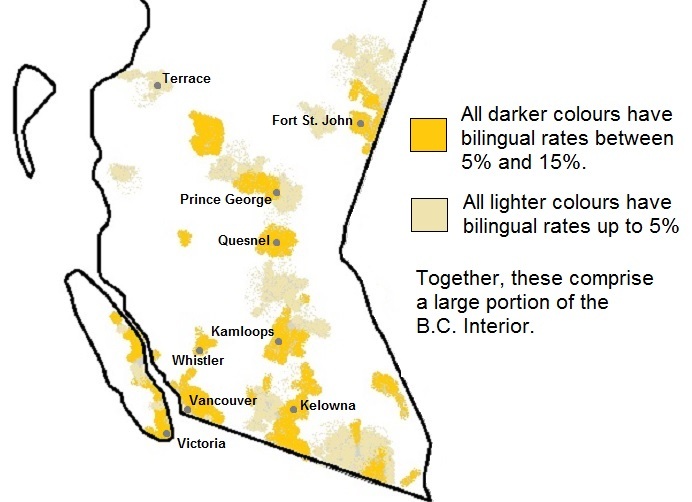 roots, B.C.’s bilingualism statistics came as a complete surprise to me. Unlike the three Prairie Provinces, BC generally doesn’t have a strong Francophone history, nor does it have a history of waves of Francophone immigration, although there have been growing numbers of immigrants from France to the BC lower mainland (and there are a few small pockets of historic French communities, such as Maillardville east of Vancouver). 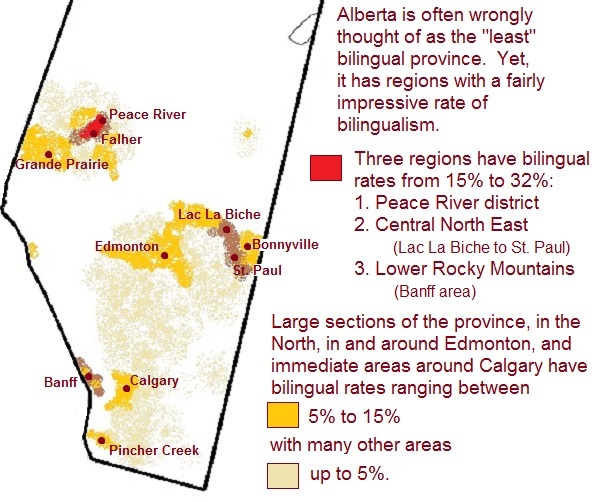 Yet, most populated areas of the province, particularly the interior, have surprising bilingualism rates. The only thing I can possibly think of, apart from university programs, is that these numbers come from an assertive intensive FSL and French Immersion education system (my own bilingualism started as a result of education programs initiated between the B.C. and federal governments). Now that two full generations of thousands of students have gone through the program’s system and have become adults, we must be now seeing the results in terms of statistics – from big cities, to small towns, to rural regions. In 2011, B.C.’s bilingual population was 296,700. These are impressive French/English bilingual numbers for British-Columbia, considering Québec’s total anglophone population in 2011 was only 661,535 (as a mother tongue). Below is the map (click to enlarge). Alberta is interesting because it is the most Western province with a Francophone population that settled the land during the same waves as other settlers (notably from the old German-Prussian empires, and Austrio-Hungarian empires including Galacia of Western Ukraine, mixed with British Isle settlements). Many place names in Alberta have French names, and there are 3 traditional areas of past Francophone settlement : the Peace River district (with Francophone communities like Falher, Donnely Corner, and Rivière-la-Paix), the Central North East (with Francophone communities like Bonnyville and St-Paul), and the Edmonton area (with the older Francophone settlement of St-Albert, and the Francophone district of Edmonton, Bonnydoon). Naturally, bilingualism rates are higher in regions with an indigenous Francophone population. However, the rest of the province’s bilingualism rate, like in B.C., comes mostly from assertive French Immersion and intensive French programs. There are however newer incoming waves of Francophone migration from New Brunswick and Québec to the Fort McMurray and Calgary regions — as well as many Francophone youth from Eastern Canada moving to the lower Rocky Mountain regions (such as Banff and Lake Louise). You would think that Alberta’s indigenous Francophone population would be a major factor in Alberta’s overall rate of bilingualism. Yet, Alberta’s Francophone community has generally remained constant as a percent of Alberta’s overall population. Yet, the increase in bilingualism has outpaced Alberta’s population grown for many years (with the notable exception of more recent years which saw massive numbers of immigration to Alberta compared to other provinces). In 1971, Alberta had a bilingual population of 81,000 (Fr/Eng) (mostly Alberta’s indigenous Francophone population). In 1981, Alberta had a bilingual population of 142,000. In 1991, Alberta had a bilingual population of 167,200. In 2001, Alberta had a bilingual population of 202,900. In 2011, Alberta had a bilingual population was 235,600. Most of these numbers are made of Anglophones who have become bilingual over the course of one to two generations. Sasktachewan’s bilingual story is much the same as Alberta’s. But interestingly, Saskatchewan was the furthest point West of La Nouvelle France. Technically, La Louisiane (the original “Louisiana”) under administration of the Royal government of France, extended to Prince Albert, Saskatchewan, where they actually built a French government fort slightly to the East of the present city. Like Alberta’s bilingual story, areas with indigenous Francophone communities have higher rates of bilingualism. 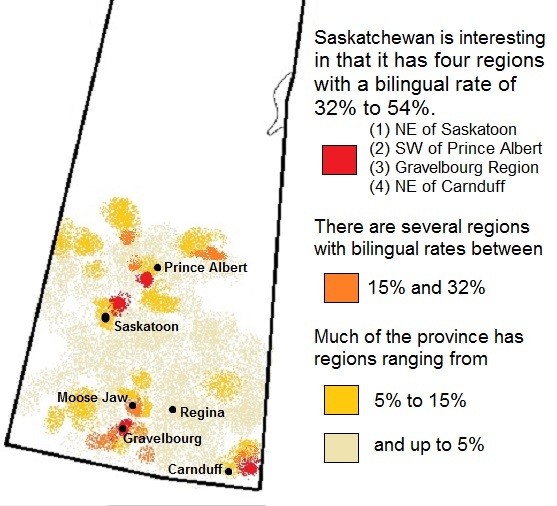 Bilingualism in Saskatchewan, unlike all other regions in Western Canada, has seen somewhat of a setback. I’m not sure why this might be, but it would make for an interesting study when doing a comparison of best-practices between provinces for the promotion of bilingualism. In 1971, Saskatchewan had a bilingual population of 46,000 (Fr/Eng). In 1981, Saskatchewan had a bilingual population of 43,700. In 1991, Saskatchewan had a bilingual population of 58,000. 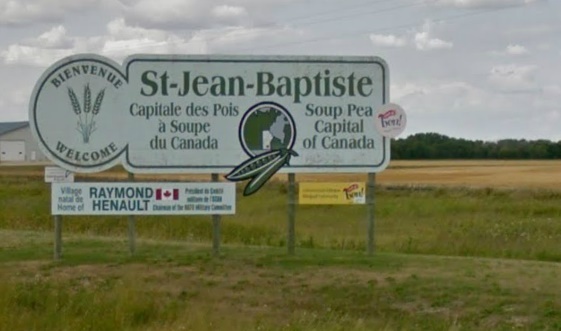 In 2001, Saskatchewan had a bilingual population of 49,000. In 2011, Saskatchewan had a bilingual population was 46,600. Manitoba’s bilingual story is not dissimilar to that of New Brunswick or Northern Ontario. Manitoba originally was a Francophone territory before it was Anglophone. Massive immigration from elsewhere, along with certain aspects of Canadian history last century, greatly diluted Manitoba’s Francophone community, to the point that Manitoba is now a province with a much larger Anglophone population than Francophone. However, upon repatriation of the constitution in 1982, Francophone rights in Manitoba (which were previously disregarded), were re-introduced, and special “bilingual” regions were established… basically granting Francophones in those regions the same rights Anglophones have outside of those regions. My first career had me temporarily live and work in one of these special bilingual regions in the late 1990s. 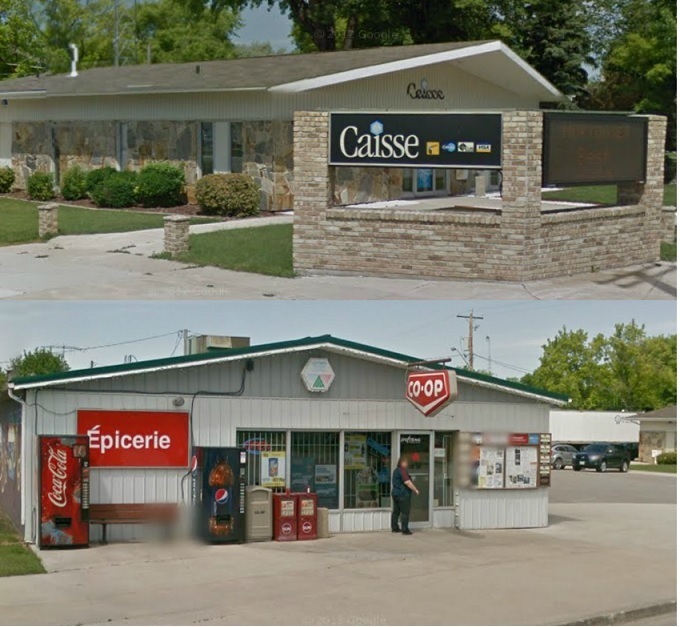 It was quite a unique experience to be able to live daily life in French in Manitoba (public signage, grocery shopping, the bank, aspects of my work, social time, etc.). Below are a few pictures from the small town of St-Jean-Baptiste, Manitoba where I lived for a few months. In 1971, Manitoba had a bilingual population of 89,900 (Fr/Eng). 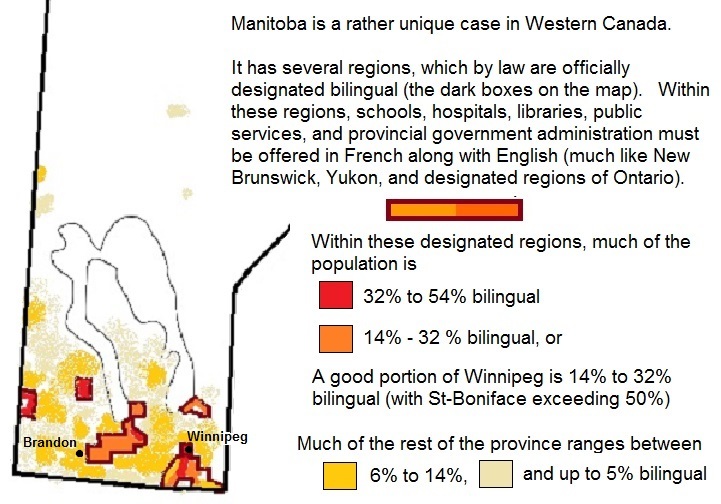 In 1981, Manitoba had a bilingual population of 80,000. In 1991, Manitoba had a bilingual population of 98,800. In 2001, Manitoba had a bilingual population of 102,800. In 2011, Manitoba had a bilingual population was 103,100. Over the last 40 years, the Yukon Territory has consistently seen the strongest growth in bilingualism of any jurisdiction in Canada. 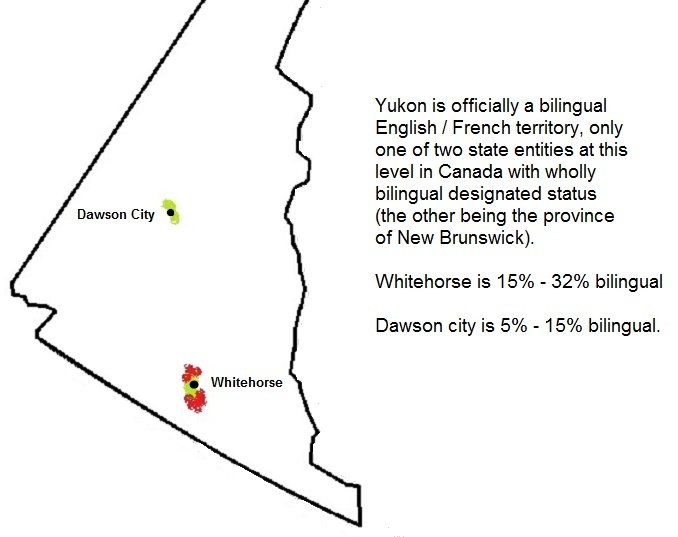 Yukon and New Brunswick are the only territorial/provincial-level jurisdictions in the country which are officially French/English bilingual (only certain regions of Manitoba and Ontario are officially bilingual, and the NWT only designates certain services as officially bilingual). If current trends continue, within the next 50 years, Yukon could be over 20% bilingual, making it one of the most pro-active regions for bilingualism in all of Canada. In this regard, for such a small population (only around 34,000), Yukon is punching way above its belt. It can serve as an example of what can be done; not just for its immediate neighbours (BC, Alberta, NWT), but for the country as a whole. 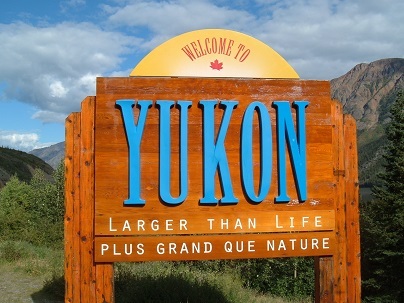 In 1971, Yukon had a bilingual population of 1,200. (Fr/Eng).